Preparation for The Great Lag B’Omer Parade is in high gear. 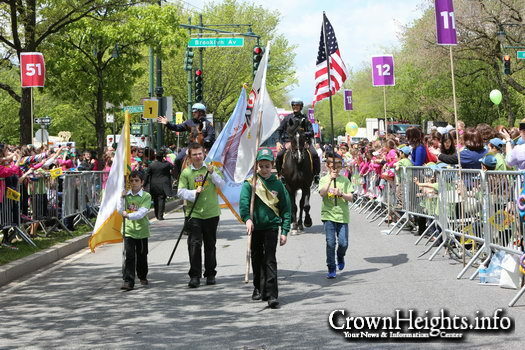 It’s been three long years since the last parade, and Lag B’Omer won’t be on Sunday again until 5784 (2024)! 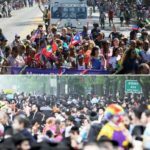 The Parade committee is working overtime to make this parade one that will be remembered for years to come, with many special surprises on the way – including a performance by Jewish singing superstar Benny Friedman, and a special live show by children’s favorite “Mitzvah Boulevard” along with Chaim Fogelman. 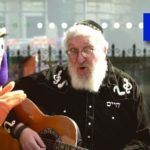 The entertainment is being headlined by Jewish superstar Benny Friedman, coming off his hot new album “Fill the world with Light”. 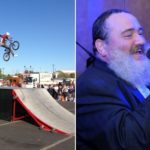 Also featured is an all-new, special live show by children’s favorite “Mitzvah Boulevard” along with Chaim Fogelman. The theme of this year’s parade will be “שנת עז”, a reference to the Talmudic expression “”אין עוז אלא תורה “there is no power like Torah”, and based on the verse “מפי עוללים ויונקים יסדת עוז” “Out of the mouth of babes and sucklings, You have established strength”. With the recent rise of anti-semitism, it is the voice of our children’s Torah that empowers us against all that wish us harm. The parade will especially commemorate 50 years of Mivtza Tefillin and the victory of the 6-day war. Stay tuned for parade updates and the release of the first promo video. No need to sit back and wait, become a part of greatness at www.TheGreatParade.com. Moshiach should be here long before then, and we’ll have an ever bigger and better parade!